Sometimes finding the perfect holiday gift or stocking stuffers for adults can be tricky. I find this to be hard with the men in my life (my husband, dad and brothers). 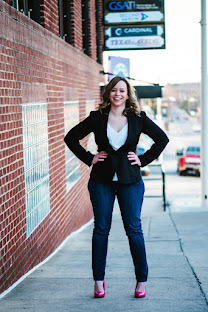 Well, I'm here to tell you about a company that has products that are not only great gifts to give men, women and teenagers, but they could also save the life/lives of the people you gift them to in the event they have an emergency! 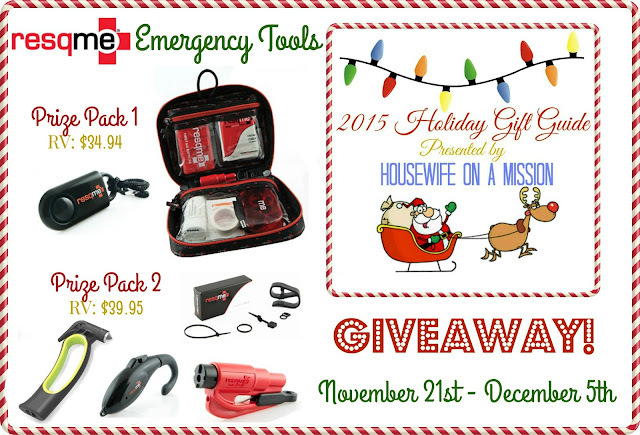 Resqme has a great line of life saving tools! They are: resqme, resqhammer, alertme, defendme, prepareme, and protectme. Resqme: This 2 in 1, safety and survival tool, allows you to cut a jammed seatbelt and to break a side window in your car. Originally developed for first responders (firefighters EMTs, law enforcement agencies); resqme® has become an essential safety solution for all safety-conscious drivers (adapted from http://resqme.com). Alertme: About the size of a bluetooth earpiece and lightweight, less than an ounce, the alertme™ is the latest and safest lifesaver electronic device that helps prevent accidents caused by falling asleep behind the wheel. The alertme™ device works by detecting when the user’s head nods while driving or working which indicates that you may be feeling drowsy. Its ergonomic design makes it very comfortable to wear and improves your vigilance on the road (adapted from http://resqme.com). Resqhammer: The stainless steel hammer head easily breaks car side windows, and the razor-sharp blade cuts swiftly through jammed seat belts. Easy to install in your car with its mounting bracket, it can be attached to various locations inside your vehicle to ensure it will be within reach “When seconds count”. Also, the Resqme tool can snaps into the base of the resqhammer (adapted from http://resqme.com). Defendme: defendme™ is a sleek personal alarm featuring a siren to maximize attention to yourself when needed for self defense. The piercing 120 dB siren can be heard up to 300 feet (100 meters) and will provide a practical protection and deter dangerous threats when seconds count (adapted from http://resqme.com). Prepareme: prepareme™ are a line of lifesaver kits conveniently combining high quality safety tools and must-have first aid items to allow for a wide variety of protection and preparedness when seconds count! They are the only first aid kits on the market to include the Made in USA award winning car escape tool, resume (adapted from http://resqme.com). How awesome is this set? I need them all! Stay connected with Resqme on Facebook, Twitter, Pinterest & Instagram! 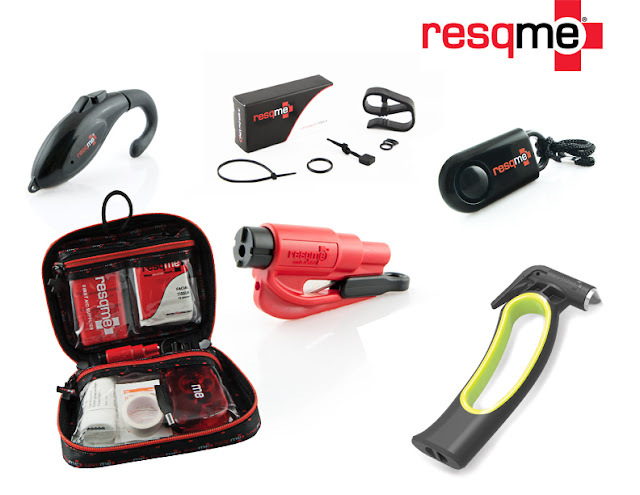 We're giving away two Resqme prize packs to our readers! 1 Alertme , 1 Resqhammer + 1 Resqme tool with accessories (visor clip, lanyard & cable-tie), a total value of $39.95-- this is a great combo for a wife to give her husband if he drives a lot! Disclosure: Housewife on a Mission and the participating bloggers are not responsible for prize fulfillment or shipment to giveaway winners. Winners will be drawn at random then emailed and will have 48 hours to respond to claim their prize. If no response is given, another winner will be chosen. Facebook, Twitter, Pinterest, and any other social media are not affiliated with this giveaway. I would like to win this for my daughter. My favorite tool is the resqme® – Quick Car Escape Tool. We live around lakes and much water. I always worry about getting immersed in water and not being able to get out of my car. I love that the resqme® – Quick Car Escape Tool can fit on a key chain so that it is always handy and not stuffed in the trunk of the car or any other unreachable place.